So-Young Kang is Founder and CEO of Gnowbe, the first mobile 1st learn-by-doing platform that re-teaches how to teach and empowers a new way of learning. She is a serial entrepreneur having also founded Awaken Group, a multi-disciplinary Transformation Design (TD) firm that integrates strategy, leadership and innovation to design experiences that catalyze change. So-Young has nearly 20 years of experience advising and training leaders globally and is a sought-after speaker across US, Asia, Middle East and Africa on various topics across leadership, innovation, education, technology and transformation. So-Young and her teams love to design and build innovative products and solutions to help organizations build capacity and capability. She is a pioneer constantly looking at new ways of solving big challenges. Her latest challenge is focused on how to develop 21st century skills, mindsets and behaviors to remain relevant given the future of work. She and her teams have had the privilege of serving clients across government, private and education sector in 9 countries with plans to reach billions through the work they do. 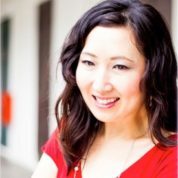 Author of Inside Out, part of a global series on global leadership and innovation (GLIP), So-Young has deep expertise and love for Asia given her experience working across the continent and her fluency in Korean and Japanese. She is passionate about leadership, education and technology that is relevant in a global context. She has committed her life to humanizing the world to maximize human creative potential having founded The Young Professionals’ Group (YPG) in 2000, a character-based scholarship and mentorship non-profit, and through her board seat at Love North Korea Ministries. With the impact of her work, she was nominated to be a Young Global Leader by the World Economic Forum in 2014. She enjoys writing and speaking on Huffington Post, World Economic Forum and as TEDx speaker. Her experiences also include McKinsey & Company, Citigroup and teaching in Japan. So-Young is a Korean-American globetrotter based out of Singapore. She has an MBA from Harvard Business School and a BA with honors from the University of Pennsylvania. There is no higher calling than that of teachers who develop humanity. What an amazing celebration of the heroes who inspire us to reach our potential. Thank you GTP for creating space for us to pause, reflect and honor our true heroes - our teachers.